The following is a partial list of programs to help people get the testing, medical care, and medications they need to treat and cure Hepatitis C if they do not have insurance coverage or financial resources to pay for the services and medications. 1-Patient should be insured and insurance must cover the medication for which a patient seeks assistance. 2-The medication must treat the disease directly. 3-Patient must reside and receive treatment in the United States. 4-Patient's gross income must fall below 500% of the Federal Poverty Level. Good Days is a 501c3 charity providing financial assistance to patients who cannot afford the medications they need to battle their disease. 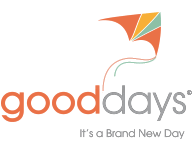 Specifically, Good Days removes the barriers to patient access by helping cover the out-of-pocket costs for approved medication after insurance. This includes copayments, deductibles and coinsurance. Insurance must cover the qualifying medication for which patient seeks assistance. HarborPath is a non-profit organization dedicated to helping the uninsured living with HIV/AIDS and/or Hepatitis C gain access to free medications offered by Patient Assistance Programs (PAPs) by creating a single place for application and medication fulfillment. This "one stop shop" portal provides a streamlined, online process to qualify individuals and deliver the donated medications of the participating pharmaceutical companies through a mail-order pharmacy. Most pharmaceutical companies offer help to patients who cannot afford the medications needed to treat Hepatitis C. You should work with your doctor to select and contact programs for assistance. In fact, your doctor may have the forms you need to submit to get medications at reduced cost or no cost. Your doctor may help you apply for assistance. Some pharmaceutical companies also offer programs to help patients learn more about Hepatitis C and manage treatment side effects. Check those out too. EPCLUSA contains the two medicines: sofosbuvir and velpatasvir. It is not known if EPCLUSA is safe and effective in children under 18 years of age. This private and confidential program provides medicine free of charge to eligible individuals, primarily the uninsured who, without our assistance, could not afford needed Merck medicines. Individuals who don’t meet the insurance criteria may still qualify for the Merck Patient Assistance Program if they attest that they have special circumstances of financial and medical hardship, and their income meets the program criteria. A single application may provide for up to 1 year of medicine free of charge to eligible individua-s and an individual may reapply as many times as needed. Contact Information If you have any questions about the Merck Patient Assistance Program including the status of an application, please call 1-800-727-5400, 8 AM to 8 PM EST, Monday through Friday. AbbVie has launched a patient support program, called proCeed™, which is intended to provide a broad range of patient support options. The proCeed program can be accessed soon at www.viekira.com or by calling 1-844-2-PROCEED. Call center staffed with associates trained to help patients and their providers with insurance-related needs. The Harvoni and Sovaldi Co-pay Coupon Programs, which provide co-pay assistance for eligible patients with private insurance who need assistance paying for out-of-pocket medication costs. Most patients will pay no more than $5 per co-pay. · A variety of resources to help individuals keep track of their treatment inclusive of a mobile app, dosing diary, treatment calendar,and reminder calls.